We serve Dublin, Oakland, and the Surrounding Areas. 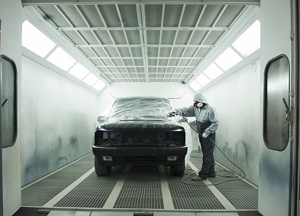 With Parkway Autobody's express service we can spot-repair minor scrapes, scratches, or small bumps in a 3'x3' area. In some cases repairs can be scheduled and completed in the same day! Call (925) 307-6231 or visit us for more details. If you are within five miles of Parkway Autobody, we offer a free shuttle service, or we can pick up and deliver your vehicle free of charge! At Parkway Autobody, we customize our customer service so you have an exceptional experience.